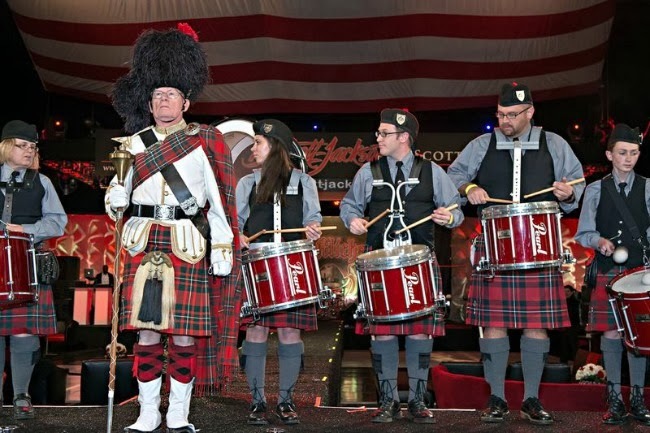 Last week I had the opportunity to attend the Barrett Jackson Opening Night Gala. For those of you unfamiliar with Barrett Jackson, it’s the World’s Greatest Car Collection Auction, and each January it comes to Scottsdale for a week long auction and car show. 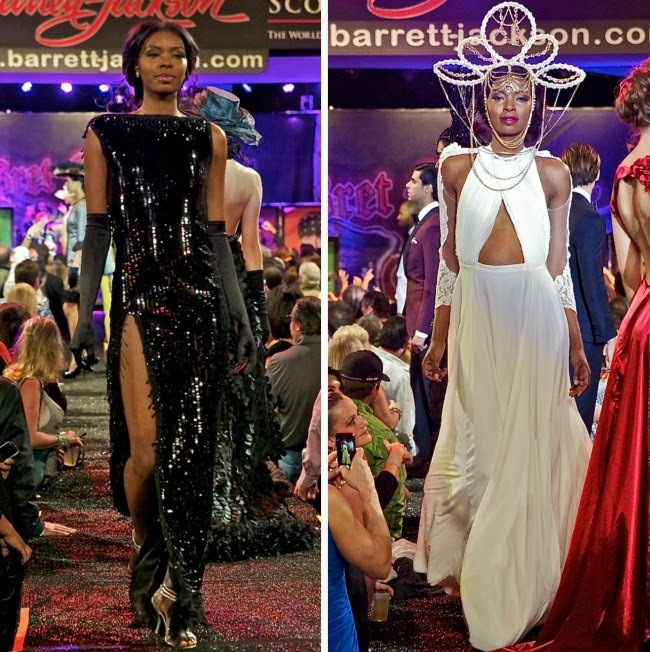 To kick of the week’s festivities, Barrett Jackson throws an Opening Night Gala for guests to enjoy food, cars, fun, and fashion. This year’s gala included a fashion show put on by Phoenix Fashion Week and a live performance by Brett Michaels. 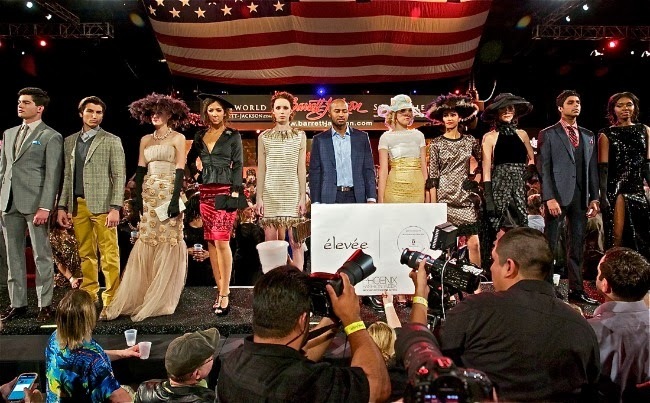 Male models wearing Elevee and female models wearing Michelle Hebert. Two of my favorite runway looks, both by Marciano. Frankie Muniz with Phoenix Fashion Week’s Host, Brittany Brannon, and Phoenix Fashion Week models. All models wearing Ted Baker. Billy Baldwin (Serena’s dad on Gossip Girl!) and I.
Brittany Brannon interviewing the Executive Director of Phoenix Fashion Week, Brian Hill. Two-time Indy 500 winner, Arie Luyendyk, with a Phoenix Fashion Week model. 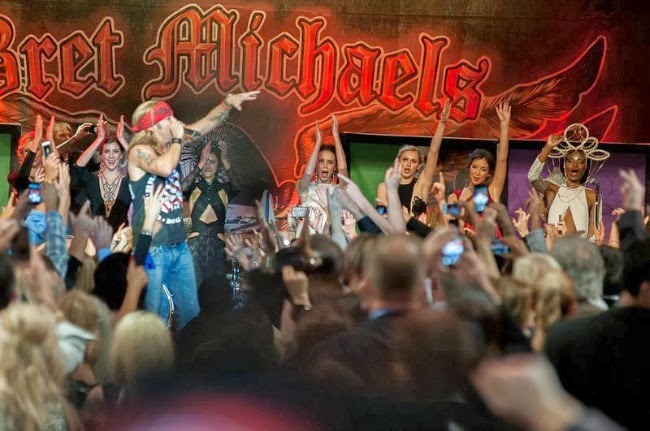 Bret Michaels performing during the finale of the fashion show. And a big thanks to Trudgephoto Photography, Steve Yap Photography, and Almanza Photography for taking such great photos throughout the event! What fun! How many famous people! Wow looks like this event had everything included! Hope you had a great time! So jealous that you went to this! Looked like so much fun, and you looked gorgeous! What a cute blog you have, keep up the great work! Thanks for commenting on my blog and I would love you to stop by again! I took my hubby and Dad to a Barrett Jackson Car Show one time and we loved it. So much fun! I can't imagine how fun it would be with a fashion show!! wow looks like it was a great event? This proverb is so true. Many pretty celebrities are born with beautiful faces, but they need to work hard to keep their face pretty.